In the U.S., as in much of the rest of the western world, Christmas is the largest holiday of the year. Each year, millions upon millions of dollars are spent on Christmas gifts, and millions more on air travel, evergreen trees, and candy. And the star of the show is, of course, Santa Claus. Yes, that mysterious bearded and red-robed fat guy, who, with the help of hundreds of elvish henchmen, breaks into every house in the world via the chimney, and gives presents to good little children. Almost every country that has even remotely Christian beginnings celebrates some form of this holiday. 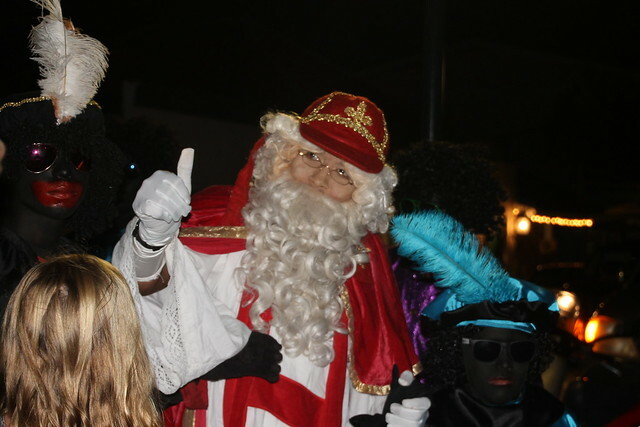 In Bonaire, an old Dutch colony, they worship Sinterklaas, rather than Santa. 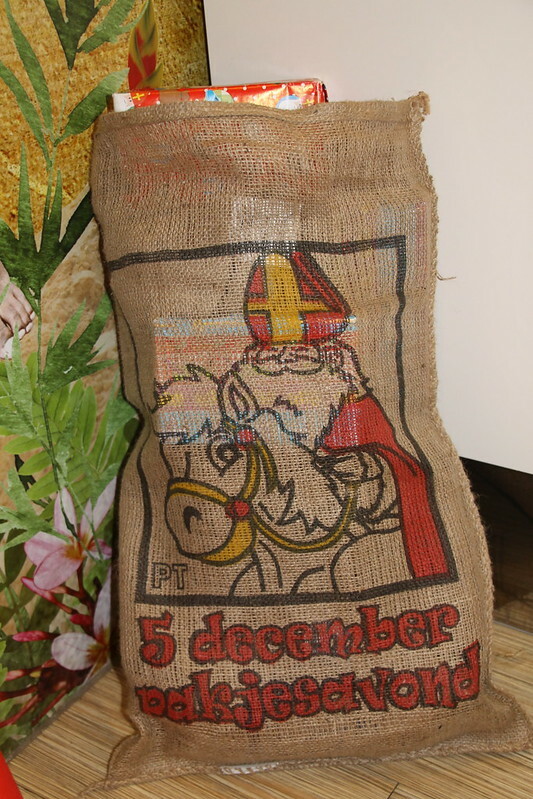 Sinterklaas is more closely related to St. Nicholas, the root of all Santa incarnations, than his American counterpart. He wears red bishop’s duds, has a white beard, and delivers presents to nice children on December 5th, the eve of his supposed death-day (343 A.D.). Rather than use a sleigh as his preferred mode of transportation, he takes a steam boat, and drops goodies into shoes, not freakishly large stockings. However, instead of being accompanied by hordes of elves in pointed hats, Sinterklaas is served by Zwarte Piet, or Black Pete, a short black person who is either: A) a freed slave, B) a tamed devil, C) a Spanish Moor, or D) a chimney sweep. Whichever one you choose, Sinterklaas’ little toady listens at chimneys, to find out which children are good, and which are bad. And upon discovery of such a rotten egg, he carries them off in a burlap sack to Spain, where he and Sinterklass dwell off-season. 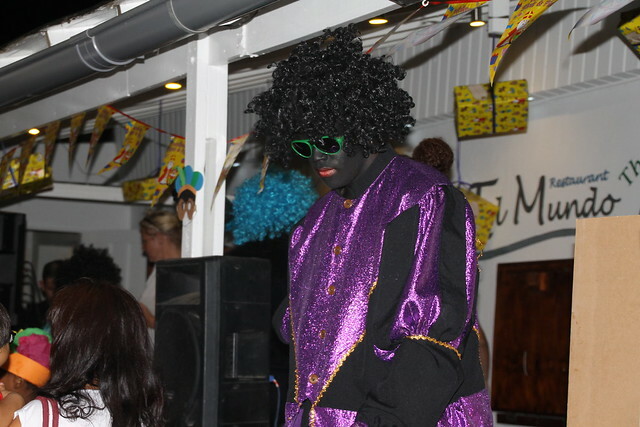 Also, in some traditions, Zwarte Piet has gold skin, rather than black. Does this make him Black-Gold Pete? I don’t know. What I do know is that he is probably a holdover from pre-Christian religious practices, chiefly in relation to the Wild Hunt of Odin, in which blackbirds accompanied Odin and listened at the chimney to see how the mortals were getting along. This is true of a lot of Christmas traditions, where old pagan rituals were changed to fit Christianity in the early centuries A.D. Some of the more bizarre traditions cheerfully celebrated by thousands of Americans and Europeans during the holiday season have their roots in Germanic Paganism. Who among you likes to burn the Yule Log? That there is an interesting piece of Norse mythology, I can tell you. It all depends on how deep you want to dig into the dirty secrets (and there are many) of your favorite holiday rituals. It is also totally normal to go out caroling (wassailing), decorate your Christmas tree (Yggdrasil? ), and eat your Christmas Ham (Yule Hog), by the flickering light of your merrily burning Yule Log. 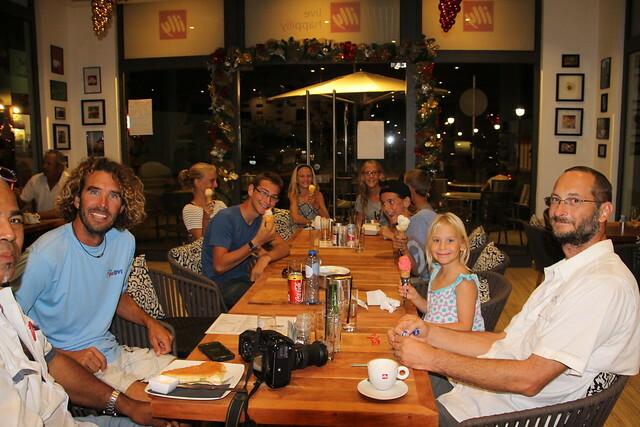 In short, you should celebrate the Christmas season without thinking too much about its roots, and just enjoy your time-honored traditions with people you love.